"The World's Best HSPT Test Prep"
How Lynda Got a Perfect HSPT Score and Was Accepted to the Best Catholic Schools in America. Best part...? Read the entire article to find out how she accomplished this goal. I think we can agree that private catholic schools often have an advantage over public schools? But can your son or daughter gain admission to the best catholic schools and master the HSPT Exam? But be sure to read this entire HSPT article to the bottom, and if you have questions... let us know! Today you're going to learn about how Lynda, who was applying to the best private Catholic schools - was accepted to all six of her top schools. This is no joke. She's an actual case study from the Top Test Prep HSPT exam prep team. We're so proud of her results that she allowed us to share her story today. If you've ever heard of the "HSPT" also known as the "High School Placement Test," then you want to read this story and share with your friends and family. ...And because we want to help you gain admission to the best Catholic schools too, we're also going to show you how she wrote one of the most amazing Catholic School admissions essays that landed her as an example in our bestselling book "Admit You." In this case study on the HSPT exam, we'll also walk you through a detailed analysis of how, you too, can prepare for the HSPT exam. How To Prepare for the HSPT - Lynda's Story. "The Best HSPT Course in America." Lynda was a typical eighth grader (13 about to turn 14 years old). She went to a decent private school in a suburb of a large city and was always above average, even scoring mostly As and Bs. However, Lynda was always seeking new challenges, and she - and her parents - wanted her to get into the best colleges someday. Her parents, perhaps just like you, could luckily afford to send their daughter to a highly-rated private Catholic School.. a school where the students often later get accepted into Ivy League colleges like Harvard, Yale, Princeton, Cornell, Stanford and more. So they searched for the best catholic schools rankings, hoping to also help Lynda get accepted to these schools. The Best-ranked school in town for sports and academics. The Acceptance rates were extremely challenging. How could Lynda gain admission? After researching these schools, Lynda realized that in order to get accepted, she would likely have to score in the top 10% percentile, meaning she would have to beat more than 90% of the applicants who applied. Even if she had the motivation, intelligence, and drive to succeed, the HSPT examination was one of the most challenging exams one can take before high school. ....So she found our course on the HSPT. 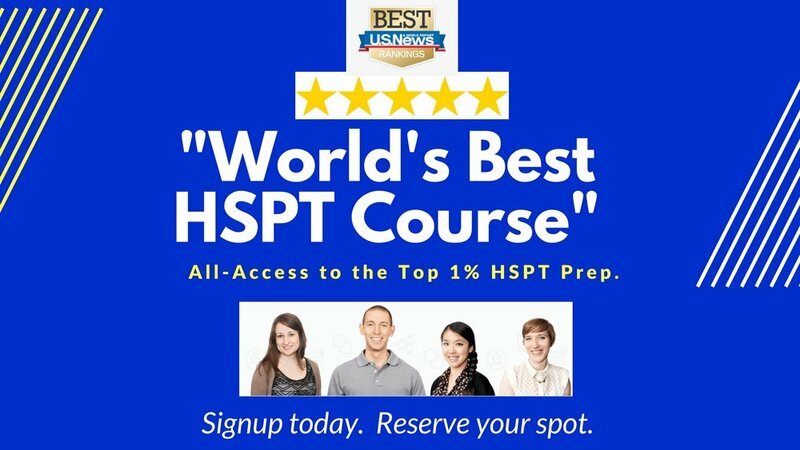 "The world's best HSPT Prep Course" - Are You Serious? When Lynda's mother, Samantha called our company, she asked two questions: "what are the best catholic schools...?" and "how can you help my daughter increase her HSPT scores." Luckily, we had the answers to the HSPT exam. The Best HSPT Prep Courses for Catholic School Admissions. In fact, Lynda struggled on the first HSPT practice exam. When she enrolled in our HSPT prep program, she took more than 7 practice exams before seeing any meaningful increase in her HSPT scores. More than 748 students took our HSPT course last year and it took on average more than 2 weeks before students saw a 10% increase in their scores. Because our client satisfaction and HSPT exam results are the highest in the industry. When you get accepted, like Lynda did, to the best Catholic (Archdiocese) schools... because of our HSPT prep, you'll never forget the people and tutors who helped you prepare. That's another fact. Once Lynda took her HSPT exam, she increased her HSPT to a perfect score! We'll tell you in a little bit about how she not only was accepted to these Catholic Archdiocese schools, but her current private school even asked her to stick around! The principal said, "We want you to stay and make a difference here." But Lynda knew she had to go. There were better opportunities at other schools. ...And now, you're wondering, how'd she increase her HSPT score significantly? How did Lynda increase her HSPT scores? Hard work. Amazing HSPT private tutors. Tons of effort on all sides. "After signing up for my HSPT Course, I saw serious results in 3+ weeks. It's not an easy exam, but Top Test Prep made it simple for me." HSPT Exam Prep - Catholic School Entrance Examination. Step #1: Create a custom study plan and be ready to study 10 hours per week. Having a custom study plan makes all the difference. Whether we help you or not, make sure you're studying at least 2 to 5 hours per week leading up to the actual HSPT exam. You should focus on the HSPT questions that are easiest first and then gradually increase in difficulty until you can handle beginner, intermediate and advanced questions with ease. Every two weeks, you should accomplish something new on the HSPT. Perhaps it's understand more complex word problems, or even being able to read verbal passages 10 seconds faster. Whatever your goal - small or big - achieve it by setting goals and reaching them. Step #4... Oh, and she took the World's Best HSPT Prep Course. "World's Best HSPT Course" reviewed by Archdiocese. All-Access to Best Private Catholic School Rankings. + 1,080 Minutes One-on-One, Private HSPT Tutoring. + 90 Minute Session with Catholic School Admissions Expert (Essays, Application Review, and Parent Interview Prep). Here's an ACTUAL Letter from Lynda - and her family - who took the Top Test Prep HSPT Course...Yes, we're proud. Who are your HSPT tutors? Our HSPT tutors are all trained, professionals, dedicated to helping students see major breakthroughs in exam scores. All of our tutors have scored in the top 1% for the SAT and ACT (post-HSPT) and have attended/graduated from the best colleges in America. It's not. Ask yourself, how much have you spent on computers, travel, and miscellaneous entertainment in the past 5 years? In fact, over a lifetime, you've probably spent 100s of thousands of dollars preparing your son or daughter for this exact moment... the moment to get them accepted into the best private day schools. We know our HSPT prep works, just see our results herein to know why we're the #1 prep program for the HSPT. Where are your HSPT tutors? Our private HSPT tutors are all based in America. They meet our clients online in an amazing one-on-one, online room built by our partners. It's much better than having to commute, and easier for you to work in the comfort of your living room, bedroom, or study. How do you have so many real practice HSPT questions? Where'd you get them? We have so many real exam because we've been preparing students for the HSPT exam for more than 15+ years. We've compiled these HSPT questions from hundreds of past tutors, instructors, as well as from the HSPT group that administers this examination. We also have partnered with other top prep companies and use some of the best resources and materials available. How do you have "unlimited" HSPT practice exams? Our unlimited practice exams promise is this... we have more than 12+ real HSPT exams in our database. The record for most number of HSPT practice exams any student has ever taken in 15+ years is 10. That's right, 10 exams. If you take all 12 practice exams (by the way, that student got a 99th percentile, and missed 1 questions on the entire exam) we'll literally write a new exam just for you. It's entirely possible, and we're ready for the challenge. How does the process work after we signup for your HSPT course? There are three steps to the HSPT signup process. (1) Once you sign up by paying online, we'll send you immediate access to your secure HSPT prep login, (2) Once you get access, we'll call and explain the process and walk you through, step-by-step, everything you need to know, (3) We'll ship your books and schedule your tutoring, (4) Monitor your HSPT prep program, and (5) We'll check in once every month with you. Top Test Prep's HSPT vs. Competition = We Win. Do you have an HSPT score guarantee? 100%. That's right. We have a 100% satisfaction guarantee. If you complete all of the HSPT prep videos, complete all practice questions included in the HSPT prep course, and take more than 5 practice exams (graded) and aren't satisfied, we'll allow you to take the course free, again. The good news: this has happened three times in the past 5 years, out of thousands of students who prepared for the exam. How does Top Test Prep's HSPT Prep Course compare to the competition? We win. Our HSPT preparation is built around a custom study plan, on-demand video for the HSPT (thousands of examples), and real practice exams to help you prepare for your HSPT. How Can You Sign Up for this HSPT Course? Backed by our 100%, HSPT Score guarantee.